Cave Junction is the birthplace and home of Bridgeview Vineyards, which is considered to be one of the largest wineries in Oregon, and which has garnered international renown for its chardonnay, pinot gris and pinot noir, receiving a number of awards for high quality and bouquet.Visitors to Bridgeview Winery can taste an array of fine wines and picnic on the estate, while enjoying views of landscaped gardens and pristine lakes. Many visitors opt to overnight at Bridgeview’s own bed-and-breakfast lodge, the Kerbyville Inn, with five wine-themed suites. 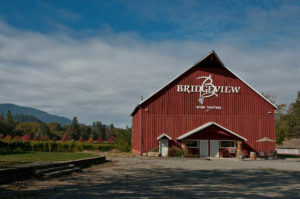 Bridgeview cordially invites you to visit the winery, sit on the deck, and watch the sun set behind the mountains with a glass of wine in hand. In 1971 Ted Gerber purchased 15 acres of rugged land in the Siskiyou Mountains, 7 miles from the California border. 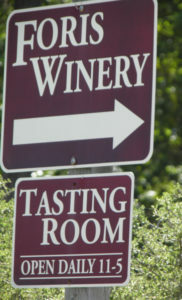 At the time, there were only 13 wineries in Oregon and NONE in the Rogue Valley. Armed with 30 years of climate data from the smokejumper station south of Cave Junction, Ore., a strong back, and a desire to get back to the land, little did he know that his leap-of-faith would place him among the pioneers of the Oregon Wine industry. Today, Foris Vineyards spans 255 acres and is home to some of the most amazing stories you’ll ever hear…that, and great wine at good prices. Deer Creek Vineyards of Southern Oregon produces award winning, premium handcrafted wines, ensuring a unique, handcrafted touch in every bottle produced. 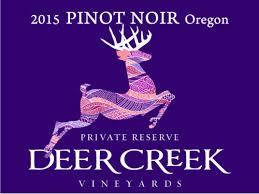 Deer Creek wines are balanced wines, which are earnest expressions of both the grapes and the land from which they come. Deer Creek Vineyards is committed to celebrating wine as a true form of art, where no two pieces are exactly alike. Each of our wines provides a singular artistic expression, thus capturing each year’s vintage, the unique terroir and the variety of characteristics unique to each grape. Inspired by the beauty and history of the vineyard within the Deer Creek Valley, the Bryan Family and staff believe that the flavors of this area should be enjoyed by all, looking for wines with a sense of place.